I just saw an interview put forward by the media and the AAF of course in which Johnny tells us, yet again, how woke he is and how he realizes where everything went wrong in his life, how grateful he is for a second chance, how he just met Mike Singletary but he can tell that "not only does Coach Singletary want me to succeed but I can tell he already cares about me as a person." In short, this time Johnny is REALLY self aware. This time. He means it. It's like BSD posted in this thread not long ago, Johnny has learned what to say and when to say it, to feed the media what they want to hear so they are satisfied. And if Johnny has had a major blow up in his marriage, I'd be more fearful for him on a personal level as she was the rock in his life, it was described to me. If he keeps on heading in the direction he seems to be heading, we'll likely be hearing about some sort of "major incident" or happening in his life within a year or so that really stands out. And of course they don’t mention his time in the CFL. It was mentioned that it’s his 2nd chance - really it’s his 3rd chance. I’m sick of him, I hope he blows it there to and just goes away. He doesn’t deserve it. it happens to other as well. It happens to CFLers who constantly desire to give the NFL another go. That gives him a battle to fight and he has more resources than most at his disposal. It doesn't give him a pass on accountability. If he is bi-polar it actually does to an extent since it means he can loose grip on reality. Not sure I believe he actually is bipolar. If he is that is significantly different from general anxiety, social anxiety, or moderate depression. The DSM-5 gets thicker each year, absolving more and more people of their responsibility. I'm waiting for SBS (Spoiled Brat Syndrome) to make an official appearance. By the way, has anyone ever seen JM on the downward side of his bi-polar illness? Seems to me that, besides a random pout here and there, only the manic side manifests. Not sure what your point is. Bipolar can be just as you are saying. I guess that my point is that if you really want to look for it, most people can be diagnosed with bi-polar disorder. JM seems to many to be getting a pass for acting like a spoiled brat, a trait he shares with Duron Carter. Did you hear Rick Zamperin and Bill Kelly on CHML talk about how a Ticat player had to go to Johnny's house and get him because he didn't show up for practice? He found him busy playing video games. A beloved former Rider QB was the same way. If someone didn't go to his place and make sure he got to wherever he was supposed to be, he'd be either sleeping or playing video games. Lots of these guys are still kids. Kids who have been coddled all through school, never had to live in the real world, and now they're playing a game for a living. Johnny might have his differences, but in that sense he's much like many others I'm sure. Bi-polar disorder is not new it used to be called Manic depressive. The key factors is this happens when sober. In some cases the person will think they are Jesus, an Alien, Superhero etc. Last edited by Cflgridiron; 03-24-2019, 05:47 PM. The cavalier attitude that most people can be diagnosed with bi-polar is not true and that type of misinformation is a problem. It’s one of the reasons there is a stigma around mental health problems and why they aren’t taken as seriously as they should be. I don’t know anything about Manziel’s personal circumstances, but mental health diagnoses should not be shrugged off. I agree. If he says he's bi-polar it does explain his behaviour the last several years. He is responsible for staying on his medication. 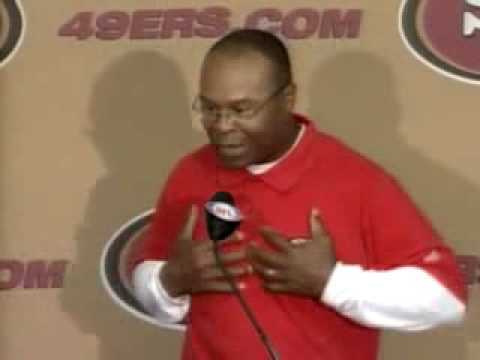 Ya I was also thinking that Singletary is not the kind of coach who’s going to provide special attention for one player. He wants to be an old school authoritarian. Well he definitely screwed the Alouettes.